Posted in blog business, Guest Post, Mainstream Polish, Manicures, Nail Art, pictures	by Jessica W.
I wanted to try something I haven’t done before and that was marbling with nail polish. I have actually seen this technique demonstrated by Nail Stamp 4 Fun on YouTube. 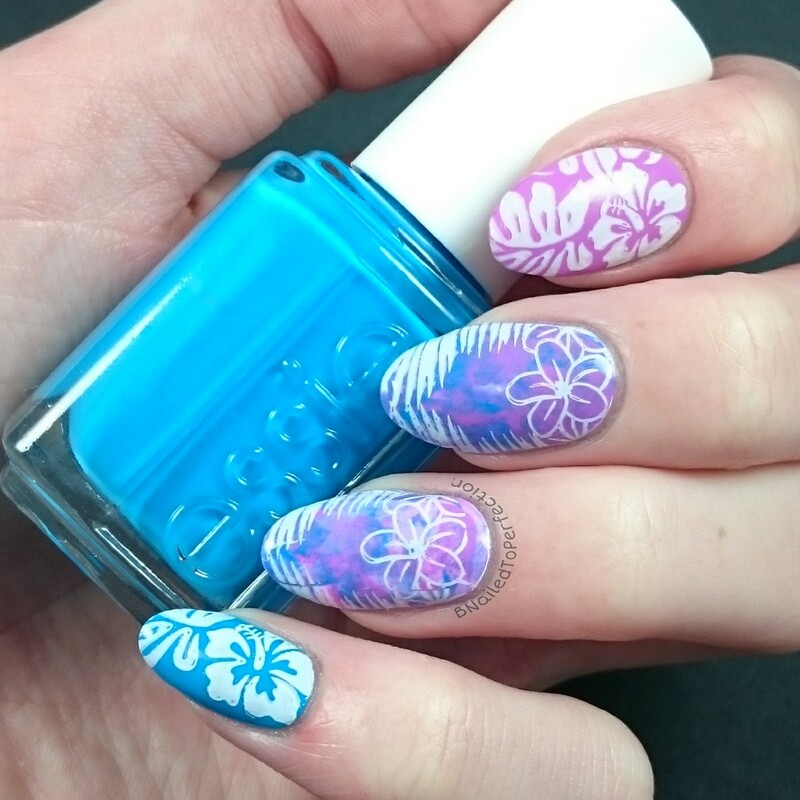 She dabs a few drops of polish onto the back of a stamping plate and then squishes her stamper to mix the colours. Then she applies it to her nail. What’s weird is that the polish almost turns into a stamped image?! You’ve got to try it, it’s really fun! On my pinky finger I have 2 coats of Strut Your Stuff by Essie which is a bright blue creme. For my two marbled nails I used a base of Color Club French tip and then put a few drops of Strut Your Stuff onto the back of a stamping plate. 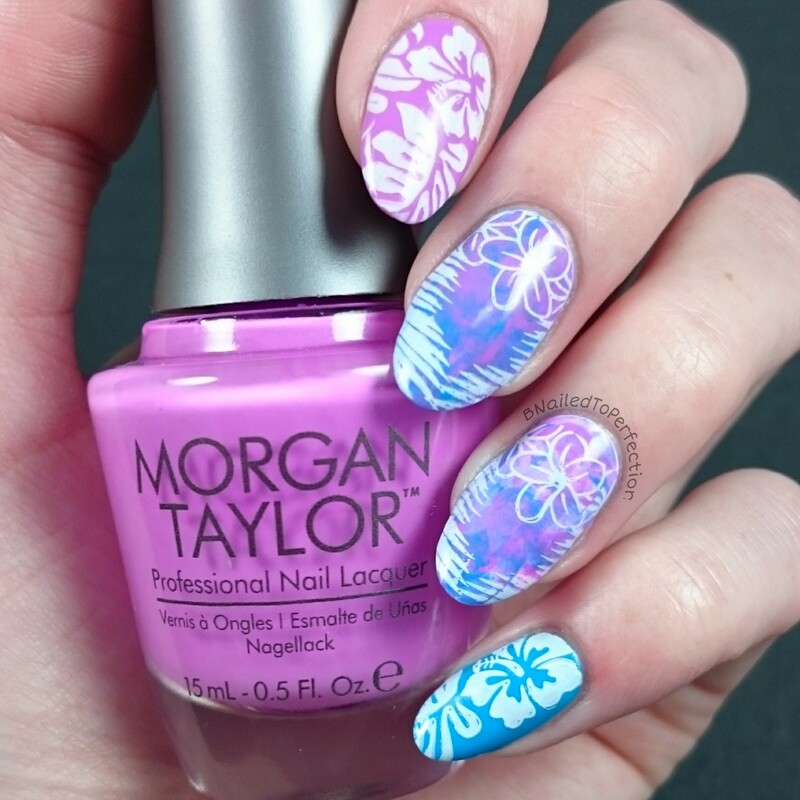 I added a few drops of Morgan Taylor Tokyo a Go Go onto the stamping plate and then mixed them and applied to my nails. There is also two coats of Tokyo a Go Go on my index finger. It is a gorgeous pink leaning purple cream. 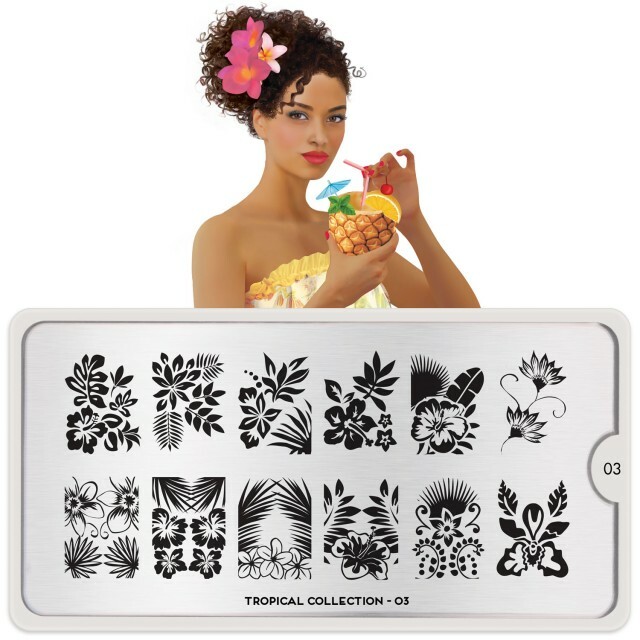 I felt like the colours had a tropical feel so I grabbed my new MoYou Tropical plate 03 and stamped some images in white. 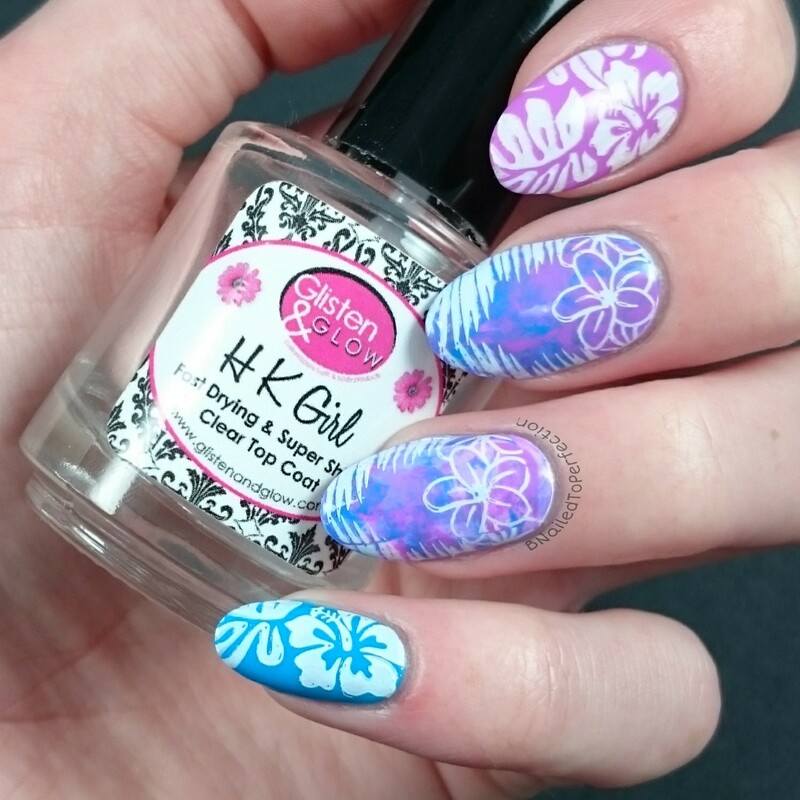 I sealed in my design with my favourite top coat which is H K Girl by Glisten & Glow. These nails are so pretty! Thank you Jessica for your kind words! I loved doing these nails for your guest post 💗 hope all is well with the little one.